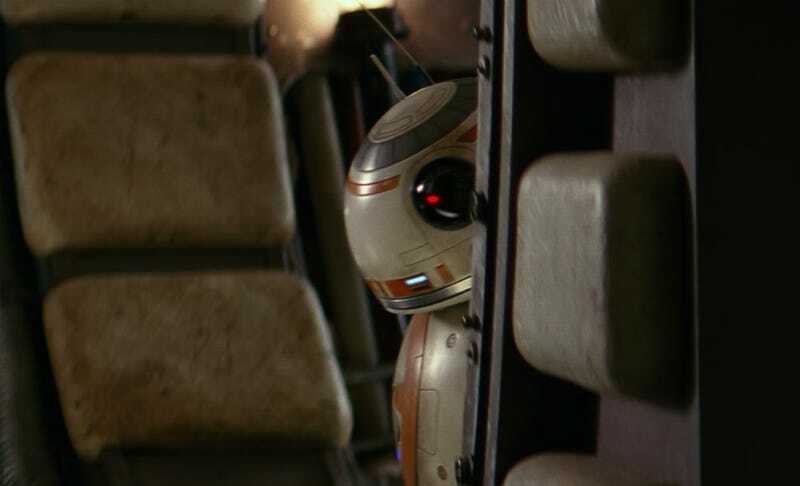 Should Star Wars: The Force Awakens’ beloved little droid BB-8 be referred to as a “he” or a “she”? It’s not a question with an answer you’d expect to change, but it has—several times . The droid has been referred to as both male and female these past few months, and now things have gotten more confusing. I’m still not sure, dare I say, whether BB-8 is male or female. BB-8 was female in our eyes. And then she became male. And that’s all part of the evolution, not only visually, but in the way they move, how they hold themselves. Well, that’s a weird quote. First Scanlan says he’s still not sure. Then he says the droid’s gender changed from female to male. Then he says it changed because its movement dictated it. Which is correct? So what’s the truth? Perhaps the better question is, why is this even a question? Why does a droid have to have a gender? Filmmakers have been using gender-specific pronouns when talking about the character, and the internet noticed. As of press time, requests to Disney for clarification had yet to be answered. But this new quote suggests, no matter what the path was, BB-8 is now male.